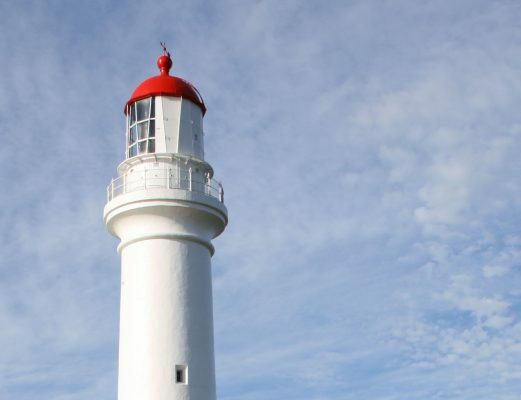 After Round The Twist’s Australian premiere on Network Seven in 1989, television critic Debi Enker wrote ‘Round the Twist is destined to be one of those viewing experiences that adults recall from their childhoods with clarity and affection’. Twenty-six years later, a recent survey conducted by Dr Anna Potter of the University of the Sunshine Coast as part of the Memory Project reveals that Enker was absolutely right, with 64% of respondents citing Round the Twist as their favourite TV show growing up. The Memory Project is a research project investigating how adults remember the Australian children’s TV they watched when they were young and how it contributed to their understanding of life in Australia. As part of the research 1,000 adult volunteers took part in an online survey. They were asked to think back to their favourite Australian TV shows and characters growing up, what they remember liking about them and what they thought locally made children’s TV had taught them. The survey revealed fascinating insights into the significance of Australian children’s television for its audience. Of the people who undertook the survey, a high proportion were female and most were in the 18-29 year old age group, suggesting they grew up watching television in Australia in the 1990s and 2000s. This was a time when Australia’s commercial networks – 7, 9 and 10 – were investing in live action drama series such as Round the Twist, Mortified and Lockie Leonard. The ABC was important to children too, with Playschool and Blue Water High coming in second and third place in our respondents’ lists of their favourite shows. When asked what they most liked about their top-ranked television shows, two themes stood out: our respondents remembered loving shows first because they were funny, and second because they were relatable. Participants recalled enjoying the ‘individuality and humour’ of local television programs and the fact they were ‘funny and out of the ordinary’ and featured ‘funny storylines and friendships’. 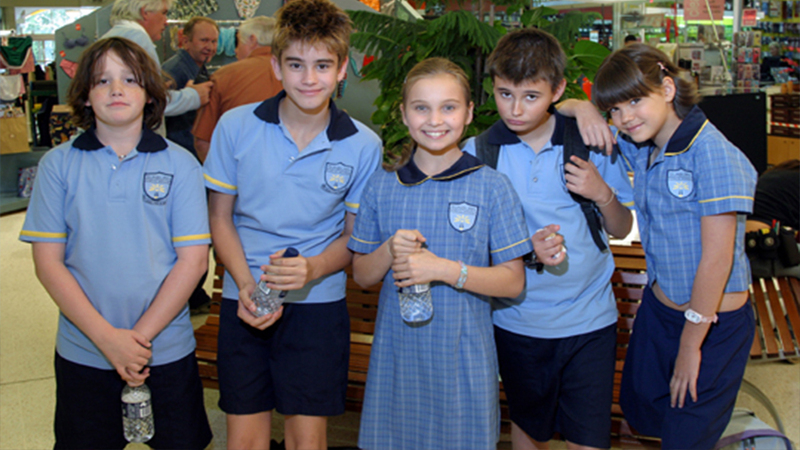 According to the survey results, Australian children’s television’s most loved characters were Bronson and Linda Twist (in first and second place respectively) followed by Taylor Fry from Mortified. Participants particularly recalled how much they liked being able to relate to characters who they felt were ‘genuine and unique’. They remembered imagining themselves in the same situations as the onscreen characters, who were like people they knew. Taylor Fry and the cast of Mortified. Storylines of Australian shows were remembered fondly as ‘captivating’ and ‘entertaining’, featuring ‘young relatable people’ and being ‘believable and interesting.’ Australian accents were also popular with survey respondents, who liked the fact they were watching ‘Aussie kids in Aussie places’. One respondent recalled ‘I absolutely loved seeing familiar countryside and schools that looked like my school (unlike schools on US/UK programs)’. The participants’ memories of their enjoyment of locally made TV confirm the importance in children’s lives of local story telling, and of the pleasure taken by Australian children in seeing their own lives reflected back to them on screen. Participants also felt that they had learnt about life in Australia through viewing locally made children’s television, particularly the landscape and parts of the country they had not visited. They remembered realising that people live in diverse places (small towns, large towns, near the beach, in the outback) and that Australia had a ‘unique outback and coastal lifestyle’. The Australian shows also contributed to participants’ understanding of distinct national characteristics, such as humour, mateship, diversity and a laid back attitude. They recalled children’s television showing that Australians are ‘easy going and funny people’ and that life in Australia was ‘fun, spontaneous, full of laughter’. Australia was understood as ‘a multi-cultural society’ and ‘eclectic mix of people and places’ where ‘we all help our mates out in times of crisis’. Interestingly, despite the consensus on Australian traits and respondents’ affection for Australian live action drama and particularly Round the Twist, over a quarter remembered being frightened by some of the show’s storylines or characters. Ghosts, skeletons, a possessed doll were repeatedly mentioned; however most agreed that this was part of the attraction, recalling ‘Round the Twist was always a bit scary, but that was the appeal’ and ‘it was scary, but in a good way’. 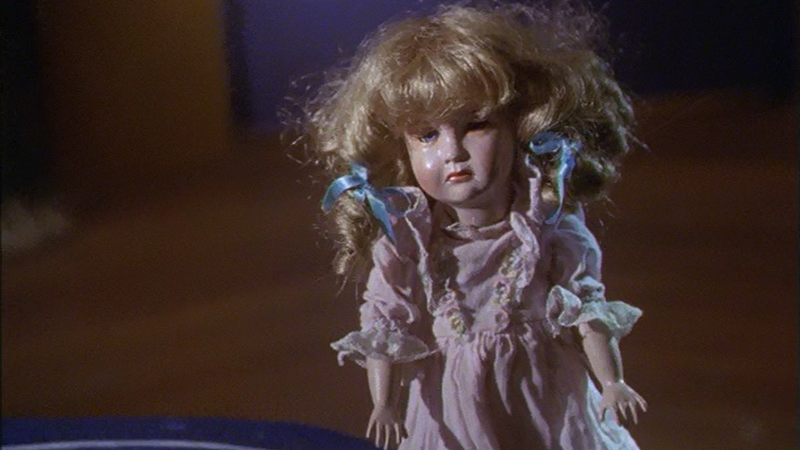 Round the Twist – Series 3, Episode 9 – Toy Love. Although Australian producers continue to make high quality live action dramas such asNowhere Boys and Ready for This (both of which were produced for ABC3), production levels of locally produced live action drama have plummeted in Australia in the last five years. Australia’s commercial networks now tend to broadcast animation rather than live action drama, much of which may not even look or sound Australian. As a result, although children growing up in contemporary Australia have an abundant choice of channels and platforms on which to watch TV, far less home grown drama is being produced than it was 20 years ago. Indeed a series like Round the Twist might not be made today. A survey in 26 years’ time asking today’s children to share their memories of Australian children’s television might yield very different results. Dr Anna Potter spent ten years working in the commercial television industry in London for Rupert Murdoch's PAY TV operation BSkyB, where she specialised in program production and classification. Her main research interests include the production and distribution of children's television, the use of program formats and the production practices of transnational independent production companies. Anna has published in high quality international journals such as Media International Australia, the International Journal of Cultural Studies and the International Journal of Learning.